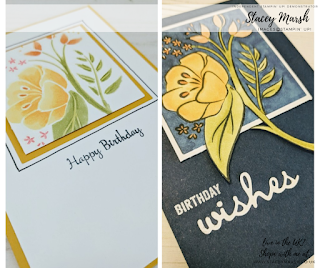 In the Spring/Summer catalogue, Stampin' Up! feature Brusho's which are an intense paint powder that is water-based an non-toxic. The colours are brilliant and transparent with unique qualities that make it a great medium to look and impressionistic work. 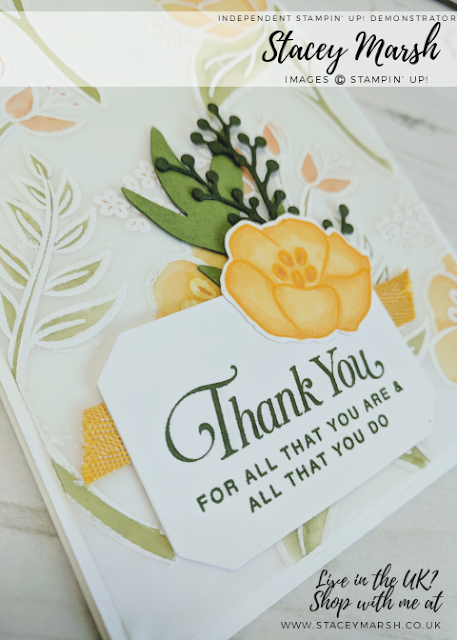 Use wet-on-wet, sprinkling, spritzing and other techniques. 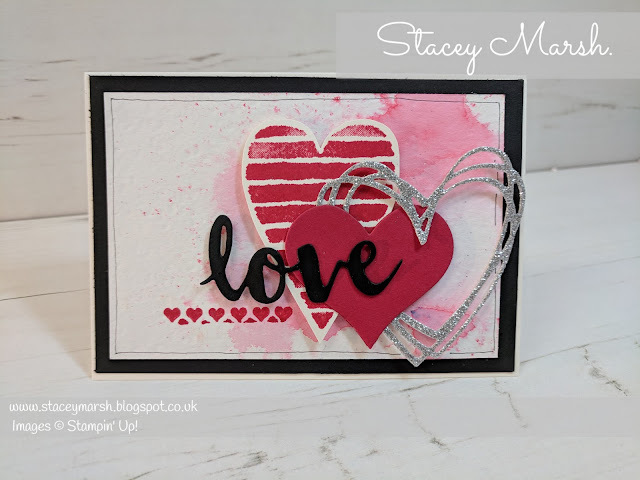 I have owned Brushos for some time now and love getting messy with them so I was really pleased to see that Stampin' Up! have added these to their product offering. They have added 5 colours so far which inlude Gamboge, Yellow, Brilliant Red, Moss Green and Prussion Blue. You will definitely see me using these alot in my work and I'm looking forward to demonstrating these to you! 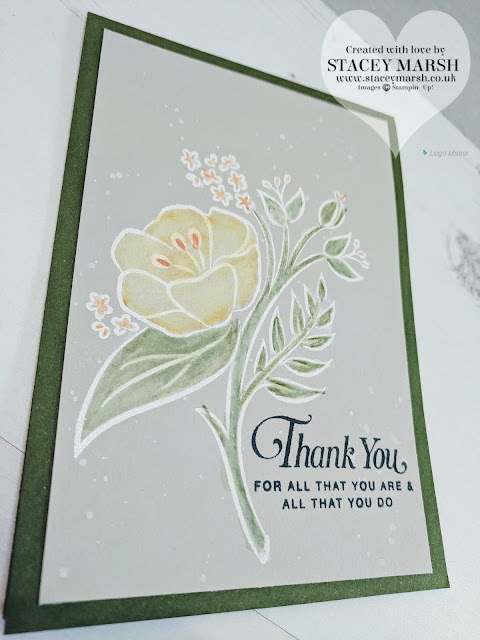 On this card, I have used the Brilliant Red. I have added a few sprinkles of the powder, spritzed with some water and used a Heat Tool to dry. I usually find that leaving it to dry naturally gives you a better finish but I wanted to make the most of my hour in the craft room! The powder is really fine and you honestly don't need much so the pots will just last and last! As it is Valentines Day next month I thought this card was very appropriate and even though me and the husband don't actually celebrate the occasion, I might just send it to him! I have used the Brushos with Watercolour Paper. Click here to watch a brief video on how to use these powders. 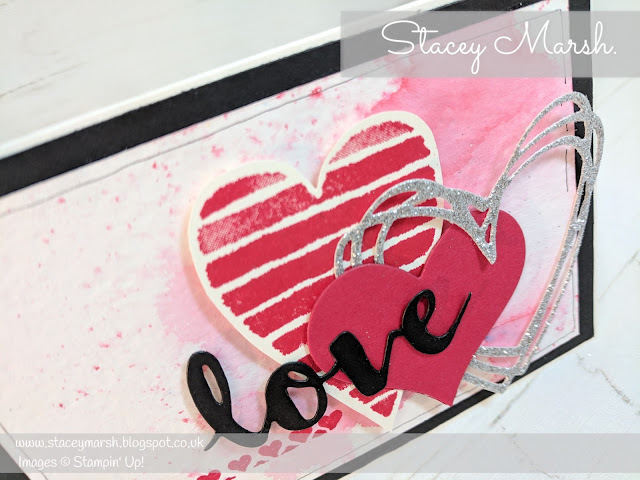 Using Heart Happiness Stamp Set, I have stamped using Real Red Classic Stampin' Pad onto Very Vanilla Cardstock and cut out. 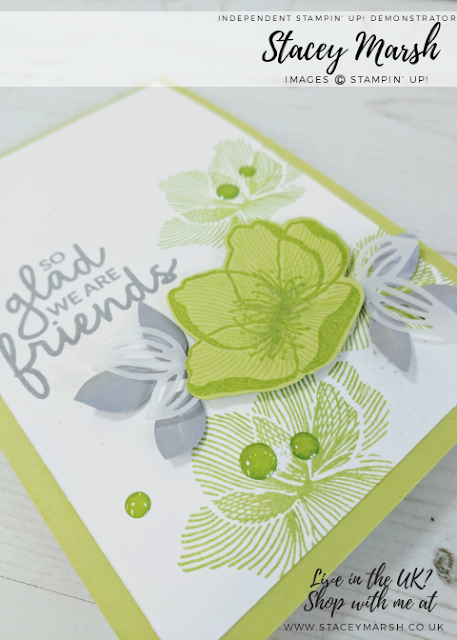 This has been attached to the card using Stampin' Dimensionals. 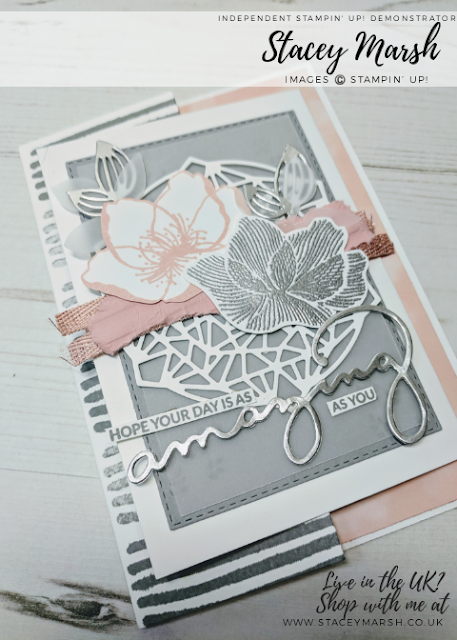 The glittery heart and "love" come from the Sunshine Wishes Thinlits and has been cut from Silver Glimmer Card, and Basic Black Cardstock. The red heart shape comes from the heart die within the Mini Treat Bag Thinlits set. 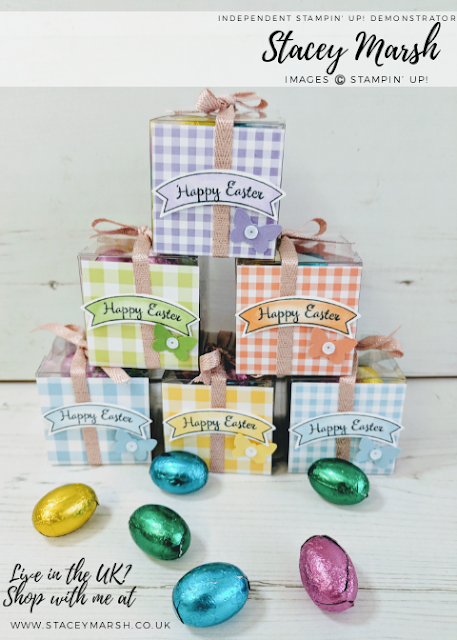 Thank you for reading, these products are all currently available in our Spring/Summer and Annual catalogues and until March, when you spend £45 or more, you can choose a free item from the Sale-a-Bration catalogue! Fingers crossed today is more successful than yesterday!